Commenti: Hello! My name is Roy and I\'m 18. I\'ve been sailing from a very young age on a 43 foot sailing yacht that my family owns, I\'ve done many international sailing trips and I estimate my sea time is about 4 months to this this point. When I was younger I also attended summer camps that included small sail boats, wind surfing and kayaks. I am an active person and I keep myself fit and healthy. My English is pretty good and I can communicate easily with other people. I like meeting new people and I am a positive person who likes to learn from others. Recently I completed a skipper course and I am now licensed for a yacht between 7-21 meters in a coastal trip, this gave me more knowledge about the sea and what it takes to control a yacht. The opportunity to attend this crossing would let me gain more experience as a novice skipper. 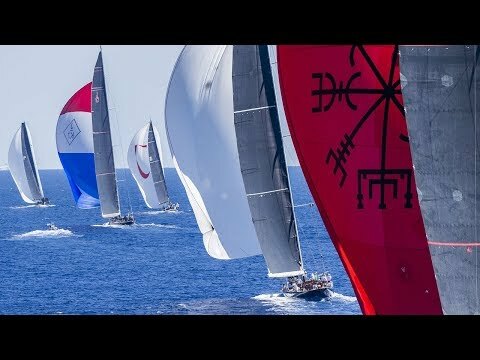 Commenti: Grew up in the Med sailing 420, 470, match racing, one designs and bigger boats in around-the-marks and in longer regattas. Lived in the Bay Area and there sailed primarily but not only J111 and Farr40. Currently sailing as navigator and main on a Farr 60 at the major races in the Med (Maxi Yacht, Giraglia, 151 Miglia, etc). Good with expedition software. Commenti: I have been predominately involved in recent years with sailing yachts both for racing and skipper work and I have undertaken both inshore and offshore racing both within the UK and abroad and have completed two transatlantic crossings. I am able to skipper smaller vessels and stand solo watches, and would be a good addition to a crew in terms of ability and personality. I have good understanding of general yacht husbandry and good workmanship for maintenance work. MCA/RYA Yachtmaster Offshore (Commercially Endorsed) STCW 95 (Expires Nov 2021) ENG1 Medical (Expires June 2019) RYA National Powerboat Certificate Level 2 2017 - Kestrel, J111, Hamble Racing Crew taking part in a campaign for the J/111 World Championships in August 2018 at Breskens, Holland. Training Regattas – RORC Easter Challenge, Warsash Spring Championship, J-CUP, RTIR, Vice Admirals Cup, Royal Southern Regatta and Taittinger Regatta. Offshore experience in delivery to and from Breskens. 2017 - Mint Julep, Dufour 387, Kestrel, J111, Jagerbomb, J111,Hamble Crewmember for RORC offshore races and inshore racing. Successful Fastnet Campaign on Jagerbomb. ARC Transatlanic 2016, Scarlet Oyster, Gran Canaria to St. Lucia as racing crew. Racing Division C winners. Commenti: 27 years old polish sailor based in Barcelona. 7000nm on regatas as well on deliveries. Extensive regatta experience in such boats as Finn, J70, DK46, TP52, Wally. Participant in copa del rey, giraglia, orc worlds, maxi worlds, lvst etc. Actually boat captain on TP52 and rigger. Feel good in most position but prefer front sails trimming and floater. Also have Yachtmaster Offshore, fluent english and advanced spanish. I am looking for the regatta and I am also available to make transfers. Commenti: Semi-professional sailor aged 28, based in Viareggio at currently. 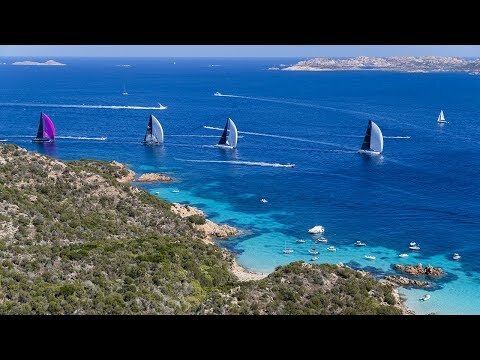 I try to embark on a further experience already gained on the maxi, my experiences: 2 Giraglia Rolex Cup, 7 Cetaceans (Giraglia), 2 Italian ORC, 1 European ORC, 1 Melges32 World of which I am World Champion Corinthian 2017 (Vitamina Cetilar). I have also had experiences on boats like: Mumm30, Melges20, Melges32, J70, J24, Maxi 81, GS37 B&C, X-46, X-45, Platu25, Farr52, Nauta65. I have the Brevet of the FIV Level 2 instructor, valid ISAF-OSR, valid BLSD and I am Grade 1 ISAF. I propose myself as a navigator, but I am also willing to cover roles such as: Main Trimmer, Trimmer, Mast. I speak English fluently. I am willing to make transfers with compensation. More information, don\'t hesitate to contact me. Thanks. Commenti: Fit and able Female, 5\"4, 55kg looking to race in the Rolex Cup please. I\'ve more pit experience than trimming and foredeck fbutmhave dabbled in these and willing to learn and try. Fast learner. Lots of race experience on an Oyster 82\" Zig Zag, 100\" Classic Sumurun, quarter Ton, XOD\'s and multiple race/cruising yachts. Attended regattas such as Superyachts Challenge, Oyster regatta, Classic week, Antuiga race week, Cowes week and many more solvent events. All rounder and fast learner. Love the racing scene and make a mean G&T! 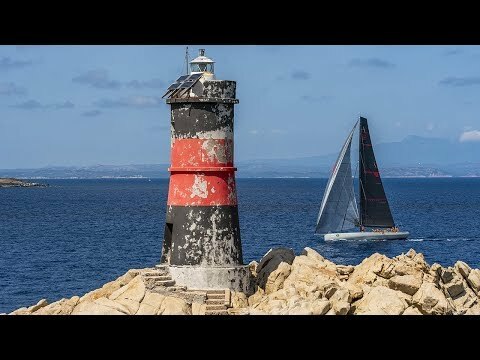 Commenti: I am a proffessional skipper/marine engineer in the area from the UK towards the end of August looking for a boat. I have a vast amount of experience both cruising and racing offshore and around the world. Commenti: hello! I\'m an a 20 years old italian boy. I grew up with the sailing passion. Optimist, laser, cabin cruiser.... I have tried every type of boat and I love them all. Sailing is more than a sport, it is a life style. Commenti: Antigua Classic regatta 2018 3rd place as Captain on tallship Schooner RUTH. www.schoonerruth.com (See Captain\'s Blog). Currently in Scheveningen, Netherlands. Looking to expand experience of racing classic vessels. Commenti: would be extremely interested in joining this event, get in touch if interested (ale.lmbrd@gmail.com; +447454669250). a bit of myself: - 27 years old, Italian, with more than 12,000 NM offshore sailing experience (approx 190cm tall and 85kg heavy). - adaptable, easy going and motivated person. good cook and positive mood. I speak Italian, English and French. - RYA Practical Day Skipper and VHF Short Range Certificate (will be sitting my RYA Offshore Yachtmaster in the coming months). - sailed extensively as mast man as well as bowman on a Mat10.10 in Scottish inshore races for the last 3 years (both symmetrical and asymmetrical) - sailed extensively on keelboats up to 25ft in Scotland and Italy as trimmer and bow. - took part in a transat this year between South Africa and French Guyana on a 42ft steel boat, in a French crew of three. - took part in the 2013 Tall Ship Race in the Baltic sea on an ex-Withbread Round the World 55ft yacht (Tomidi). - delivered several yachts Bilbao-Valencia, La Rochelle - Reykjavik, Ostia-Malaga. - have small boat experience on lasers, RS Feva, RS400, Firefly and Fireball. - sailed on a J80 in Brest (France) as upwind-downwind trimmer, to support training of a crew taking part in the upcoming European championship in 2013. Commenti: Experienced girl, aged 27,high 180 cm, weight 57 kg, from Tuscany. I\'m a FIV dinghy instructor. My late experiences are as a trimmer. I\'ve partecipate at 151 miglia race, Barcolana, 2 cetacei and for 3 year I\'ve done a little champioship in Viareggio on a Sun Fast. I\'m fluent in english and I\'m a very good member on a crew, respectful and positive. Commenti: I am a 20 year old university student from the UK. Height: 193cm, weight: 85kg. Excellent fitness level. Plenty of inshore race experience mainly on the foredeck, but also comfortable at mast and pit. I am a quick learner so I be flexible and fit in wherever I\'m needed. Most recent experience: competed professionally at Cowes week aboard a first 40, and contested round the island on a first 25.7. Race regularly on the bow of a prism 25 out of Liverpool yacht club. Previously raced dinghies, mainly performance multihulls, lasers and RS200, as well as being an RYA dinghy instructor. Have over 2000miles coastal and offshore, and experience as a skipper. Looking to gain experience on bigger boats. I\'m a laid back easy going guy, but with a competitive streak. Always looking to race hard to earn the beers. Looking forward to hearing from you. Cheers, Matt.